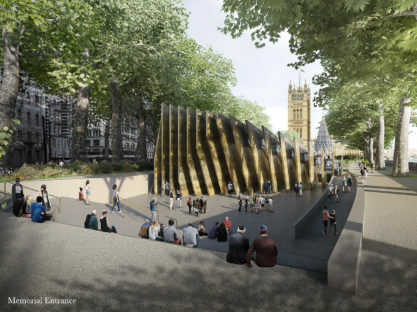 We stand at a moment of transition – a time when those who lived through the Holocaust and witnessed the atrocities first-hand will no longer be present to provide testimony. 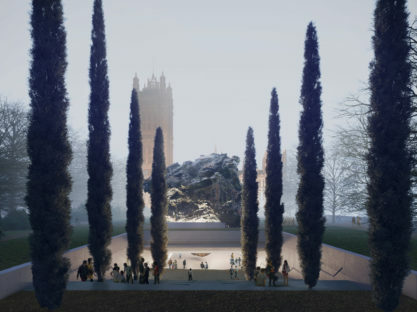 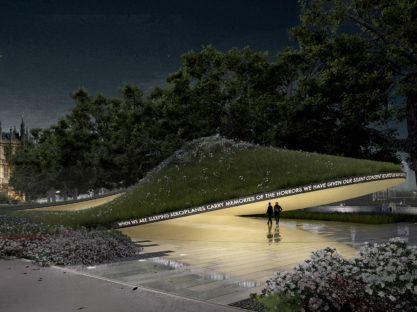 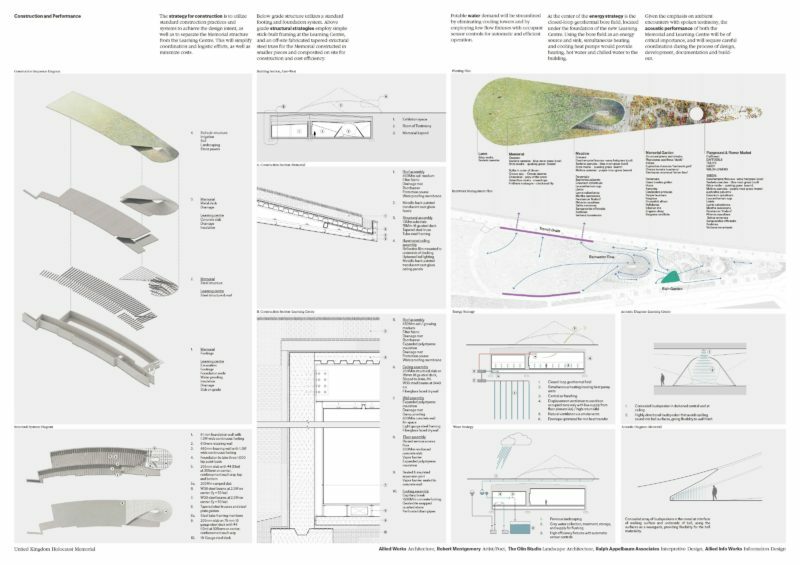 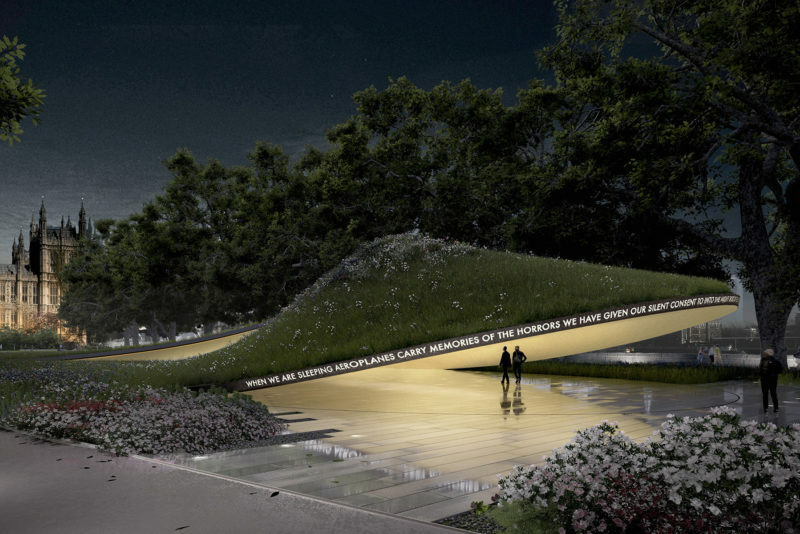 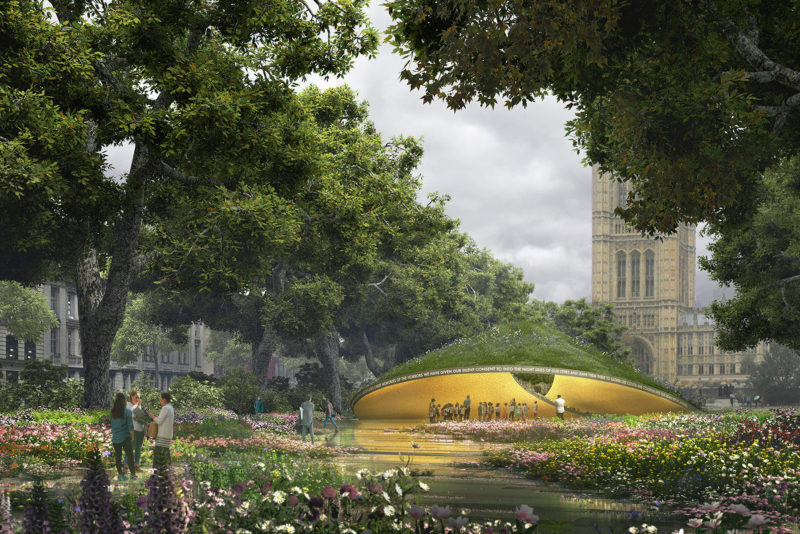 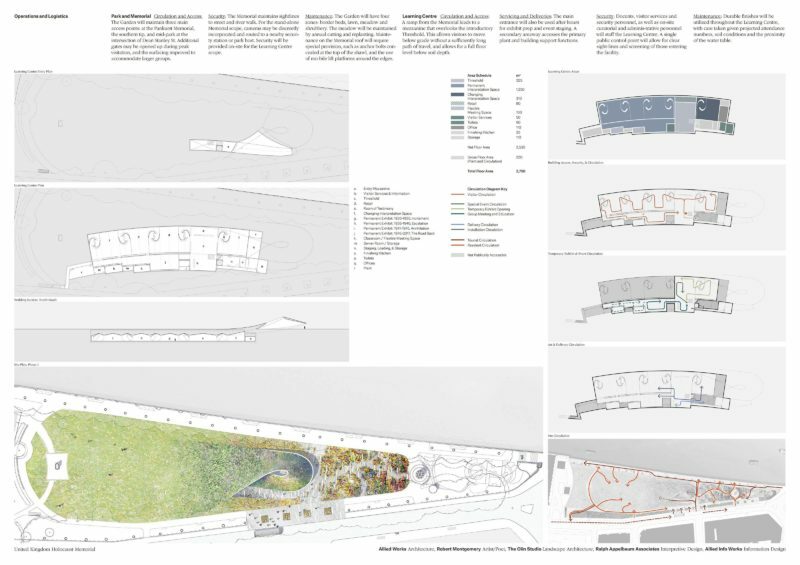 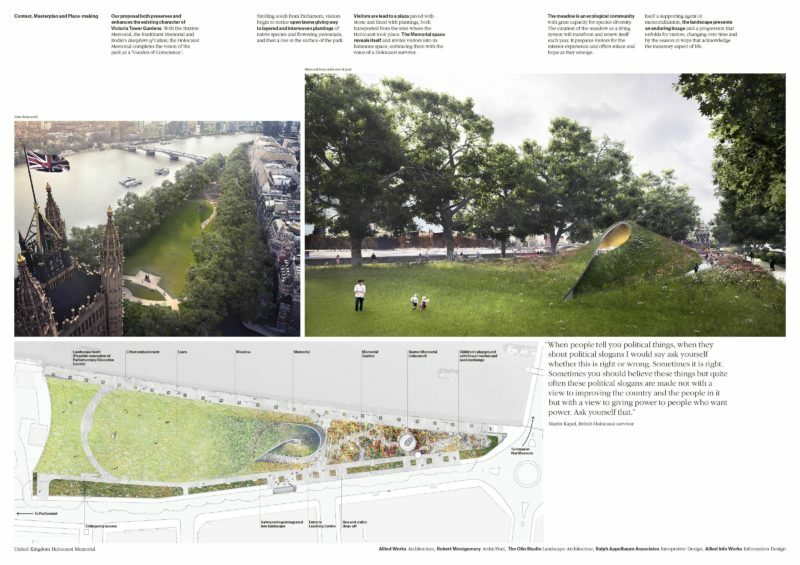 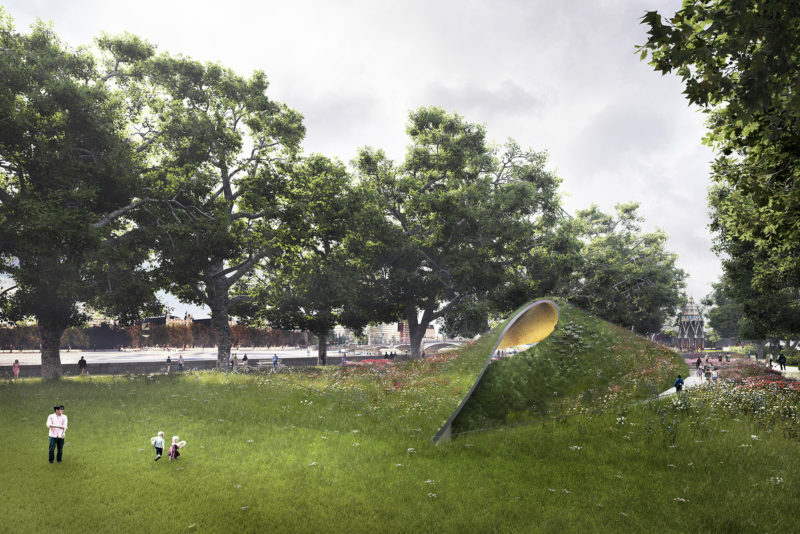 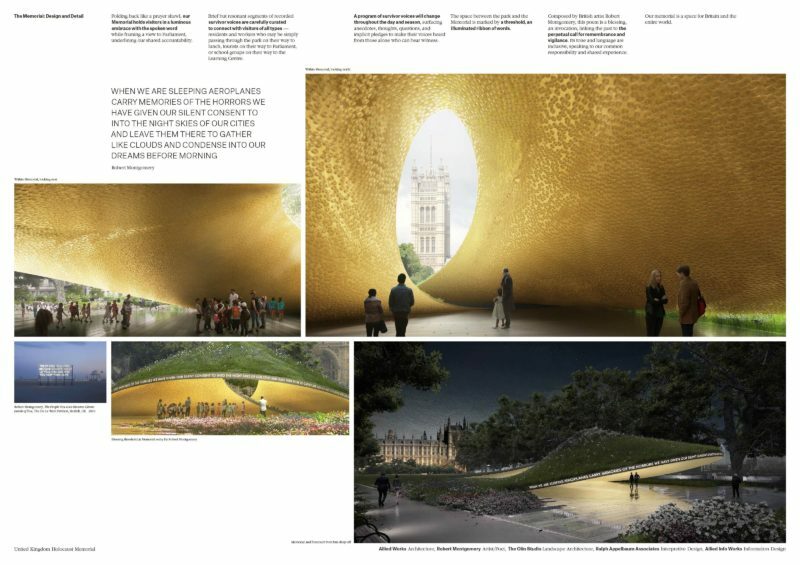 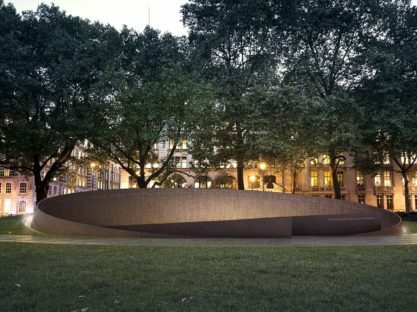 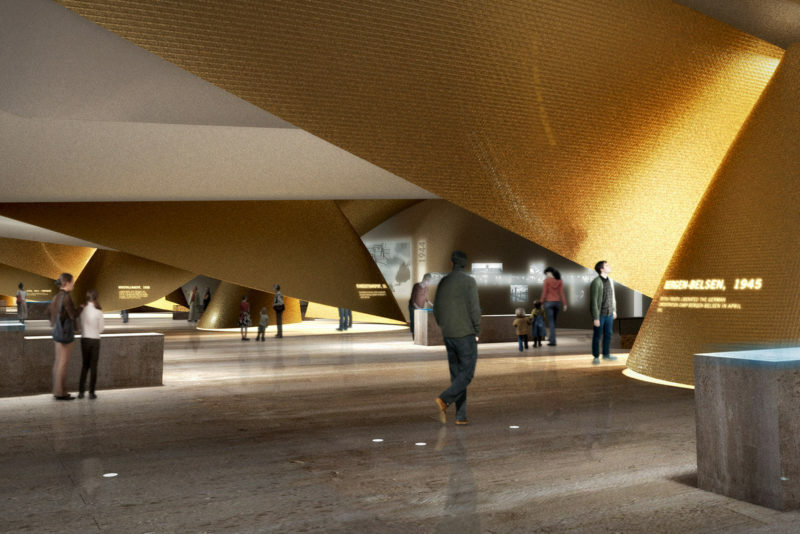 Our proposal for the memorial is not an object, but the creation of a sacred space to serve the voices of survivors. 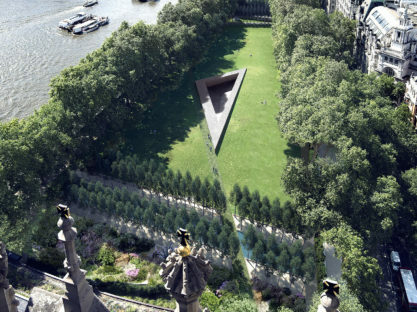 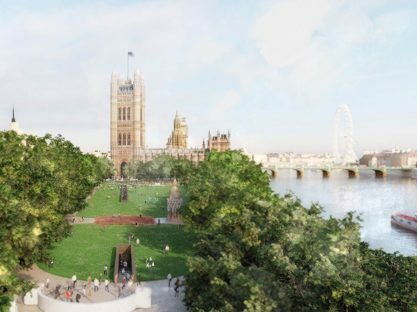 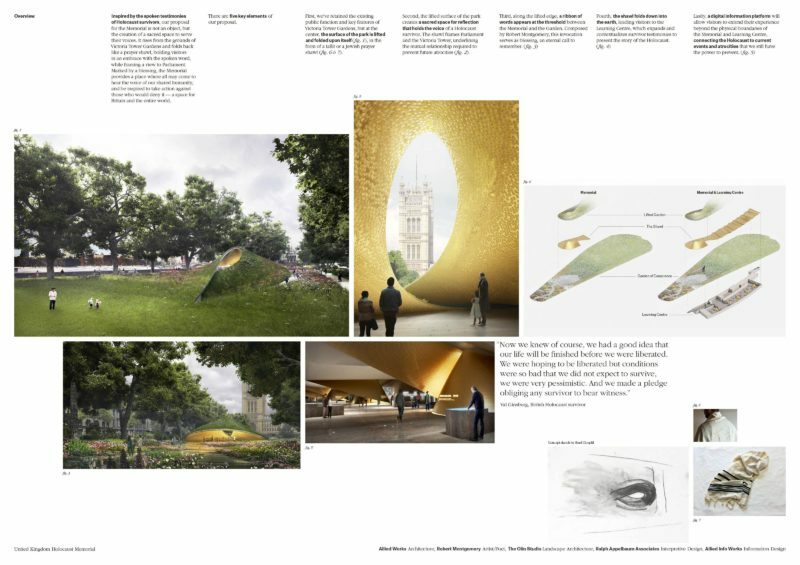 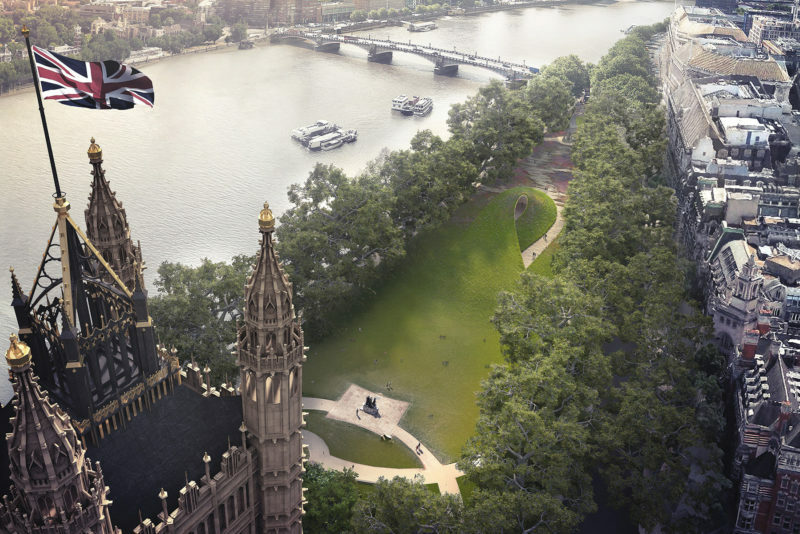 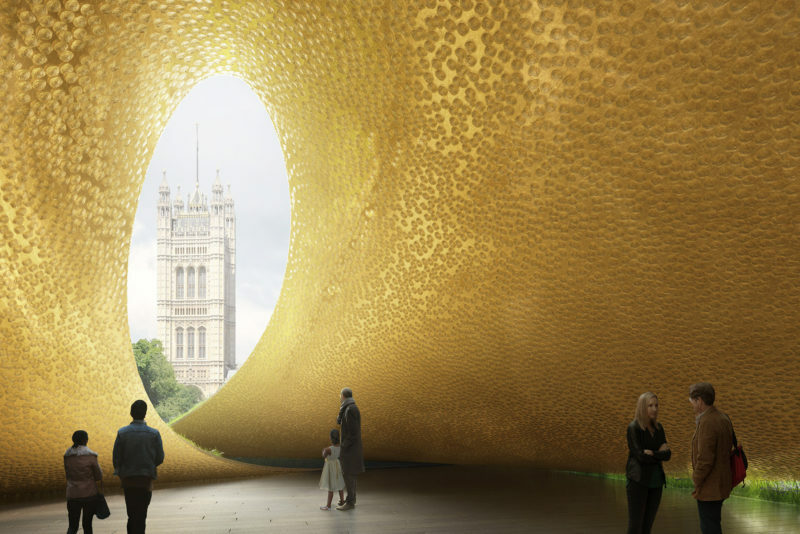 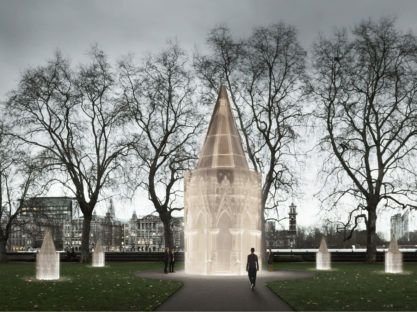 It rises from the grounds of Victoria Tower Gardens, woven into the daily life of London. 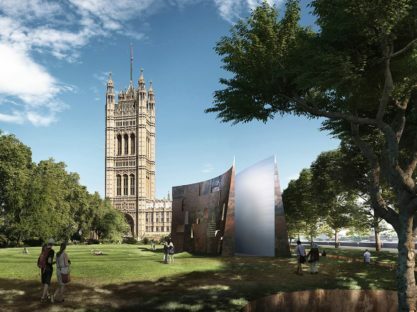 Folding back like a prayer shawl, it holds visitors in an embrace with the spoken word while framing a view to Parliament, underlining our shared accountability. 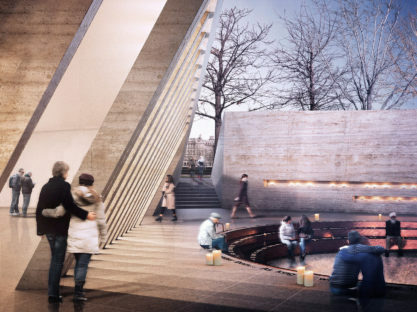 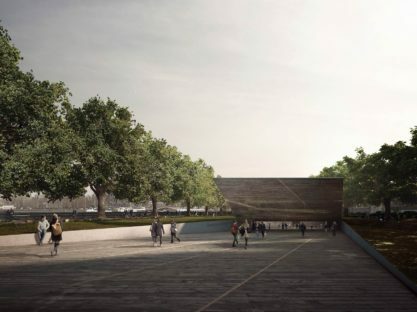 Marked with a poet’s blessing, the Memorial and Learning Centre provide a place where all may come to hear the voice of our shared humanity and be inspired to take action against those who would deny it. 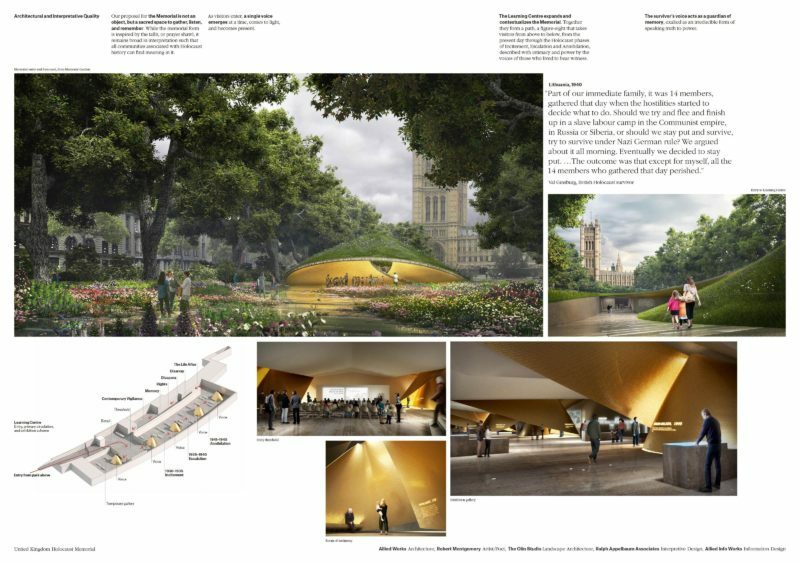 It is a place to gather, listen, learn and remember – a space for Britain and the entire world.